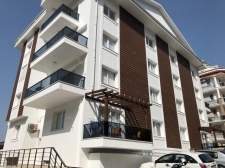 A wide range of bargain apartments for sale in Turkey are available through Place Overseas in Istanbul, Bodrum, Fethiye, Kalkan, Kas, Antalya, Side and Alanya. From lavish penthouses to cosy apartments Turkey offers a huge range along the south coast and in Istanbul. If you’re investment and rental minded, head to Istanbul, where heady prices and prestige apartments can be found on the European side of the Bosporus. For a less pricey option that still yields great returns, look to Antalya City, where a young population of professionals clamor for rental accommodation. The coastline offers a number of superb locations to buy apartments in Turkey at the seaside suitable for family holidays. Side’s cheap and cheerful offerings are close to the shore and have excellent family facilities. 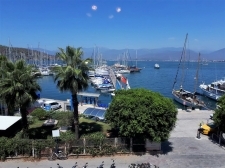 Further along the Mediterranean coastline you���ll find Fethiye, where you can find great deals on sunny Calis Beach, as well as on the hill in Hisaronu, which is close to the famous Oludeniz Beach. Side and Fethiye are also perfect locations for permanent living, thanks to their strong expat and local communities and pleasant temperatures all year round. Belek is perfect for golf lovers, with many of its luxurious apartments offering golf memberships with purchase.